Russian Tax Authorities will get access to an EU Central Register of ultimate “beneficial” owners of corporate and other legal entities, as well as trusts. A “beneficial” owner is defined as a person who actually owns or controls a company and its activities and ultimately authorizes transactions, whether such ownership is exercised directly or by a proxy. 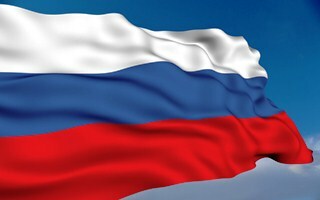 Russia has joined the program of the OECD (Organization for Economic Cooperation and Development) about the automatic exchange of tax information. This means that Russian authorities will have access to European registers as of 2018. Individuals and legal entities, which can provide valid claims, will be able to access to EU registers. The European Parliament adopted a directive, which obliges each EU country to keep a register of ultimate beneficiaries of all companies registered in its territory and in its offshore jurisdictions. It will contain names, nationality and place of permanent residence of actual owners of corporations, trusts and individuals holding proxies of such entities. The legislation will come into effect by 2017, when national European parliaments bring their legislation into line with the accepted standards. The system will become one of the first centralized database on ultimate beneficiaries of corporations in the EU, which will allow counteracting illegal schemes of tax avoidance and checking reasonableness of lower tax rates influenced by transfer pricing. There are many other offshore zones worldwide: in Asia, the Caribbean and other regions. It can be safely assumed that Russian businesses may relocate their off-shore business activities to more other countries and areas (Singapore, Bahrain, Belize etc.) and thus avoiding to being listed in the Unified Register of EU countries.